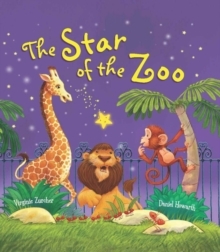 The animals are settling down for the night when a shooting star falls into the zoo. Little Star is desperate to get back home, but who will help her? One by one, each of the animals offers to help Little Star, but none of them are tall enough to reach the sky. Finally Ant comes forward. Together with all of her friends and family, Ant makes a tower tall enough to get Little Star home. This Storytime title is perfect for teaching children the value of teamwork.